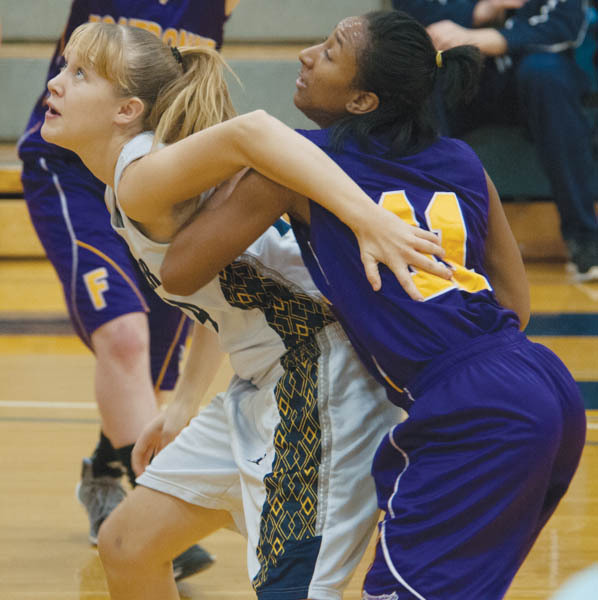 The Webster University women’s basketball team defeated the Fontbonne University Griffins (Mo. ), 64-52 on Dec. 7. Senior forward Courtney Pursley scored 23 of the Webster Gorlok’s 64 points. The Gorloks led the first half, 36-25. Pursley was responsible for 18 of those points. She also had nine rebounds in that half. Pursley has averaged about 16 points per game in the six games so far this season. “I think our team performance was pretty solid. Every game we have a new leading scorer,” Pursley said. With only 3:25 left in the game, the Griffins were able to get within four points of the Gorloks. But the Gorloks pushed back and won. Brittany Harris-Conway, sophomore forward, ended the game with 13 points and seven rebounds. Kaliann Rikard, senior guard, had scored seven points and had seven rebounds. Pursley said the Gorlok’s win on Saturday was “team-based” and the team works well together. Head Webster Women’s Basketball Coach Jordan Olufson told The Journal in a Q-and-A that the team is young this season. But he said the current sophomore players received a lot of play on the team last year. The Gorloks are now 2-0 in the SLIAC conference and 4-2 overall. The Gorloks will travel to Eureka College (Ill.) on Dec. 14. Then they have a two-week break before traveling to California to continue playing. Scott Lunte contributed to this article.